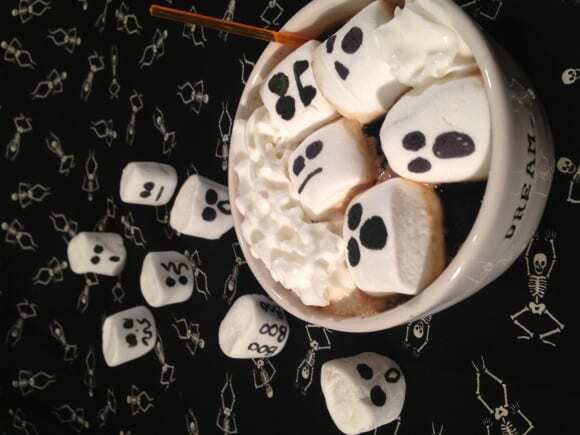 Gemma Touchstone from Gemma's Party Style is here with a fun and yummy Halloween hot cocoa recipe that's will definitely entertain your guests. 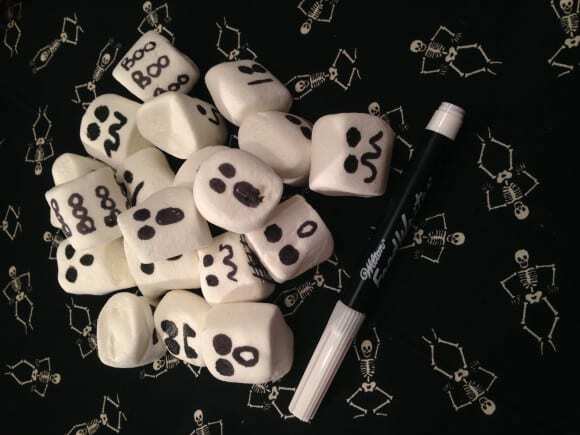 This is my favorite Halloween treat for the kids and their friends. It's so easy to make and is always a crowd pleaser. I start by taking plain large jet puff marshmallows and black edible pen, and color fun ghost faces and spooky Halloween words. Then I make my favorite hot cocoa recipe. In your 2 quart saucepan, mix sugar and cocoa. Stir in the whole milk and half-and-half until completely blended. Cook and stir over medium heat until hot, but not boiling. Remove from heat. Then add your chocolate chips; stir constantly with wire whisk if you have one until chips are melted and mixture is smooth and tempting. Stir in the vanilla. 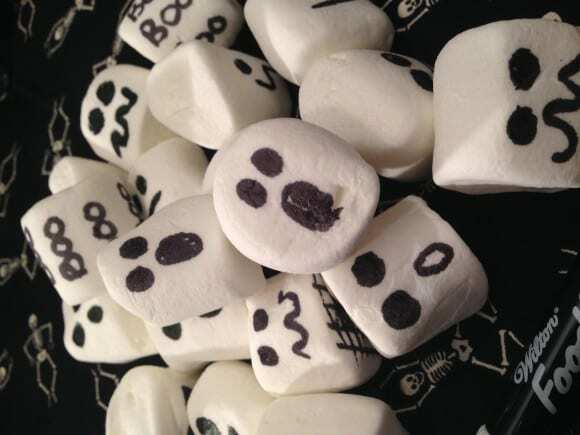 Then it's ready to pour and add your spooky ghost marshmallows! And voila! 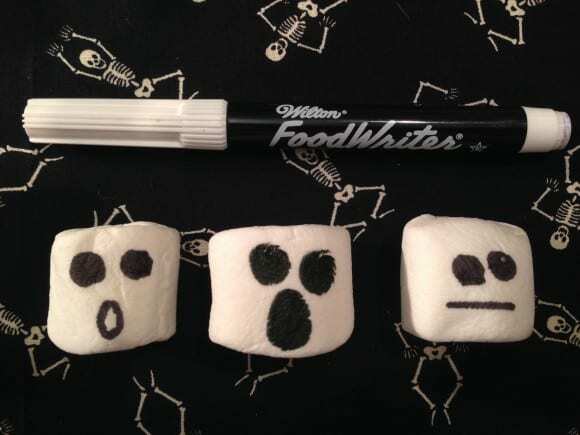 Enjoy your spooky treat. Thanks, Gemma. What a great idea! For fun party ideas & product reviews visit Gemma at Gemma's Party Style and on Facebook, Instagram, and Twitter.